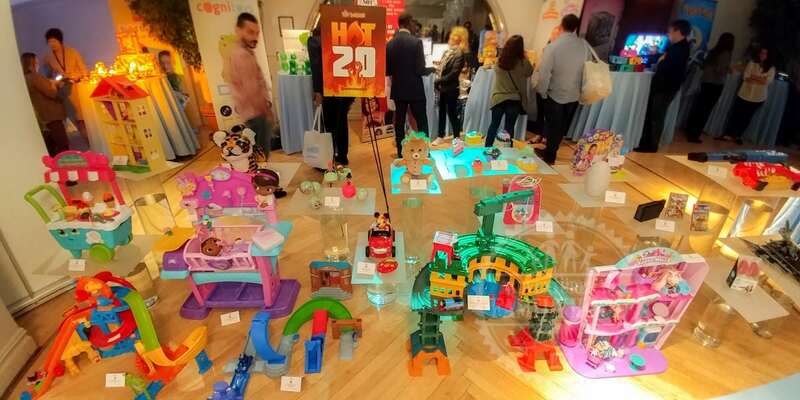 We were invited to the Toy Insider HoliDAY of Play event in New York City, which featured many of the hottest toys for the upcoming holiday season. The event focused on their top picks, which were grouped into 3 lists: The “Hot 20”, “Tech 12”, and “STEM 10”. The Hot 20 is a list compiled by the Toy Insider Experts that represents the most-wished for toys for the holiday season. Here is that list and our impression of each from what we’ve seen. The HoliDAY of Play is an event hosted by Toy Insider, one of the toy industry’s most influential organizations and a trusted go-to resource for parents and gift-givers. This is the 12th year that the organization has put out its toy guide. 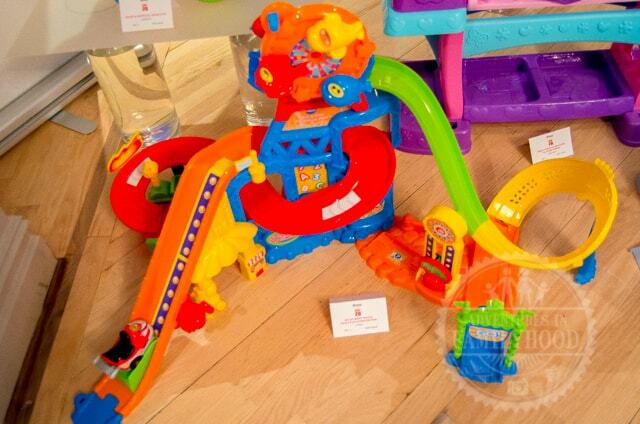 This event gave us a peek and, in some instances, a chance to play, with the toys on those lists. These 42 items represent a a bit of everything, from collectibles to interactive toys to traditional playthings to robots and drones. 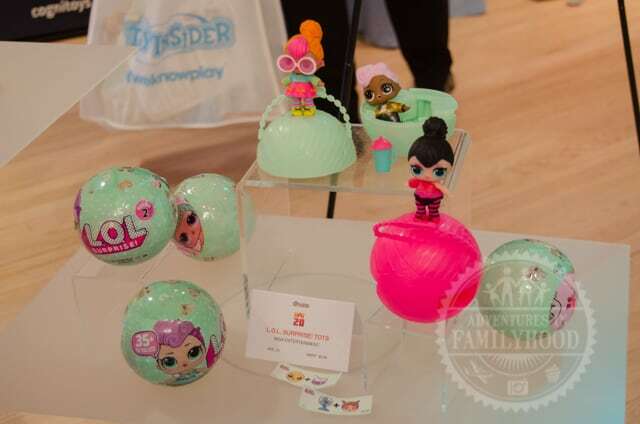 – Laurie Schacht, Chief Toy Officer, The Toy Insider. The list is broken up by ages with a couple of toys for infants, some for preschoolers, grade school, and tweens. We have linked to stores where you can find them to make it easier. Links to Amazon and Target are affiliate links and we do get a very small commission if you use our link and decide to make a purchase. We thank you for supporting our site. Go for a ride with Gavin the go-kart on the Go! Go! Smart Wheels Race & Play Adventure Park. 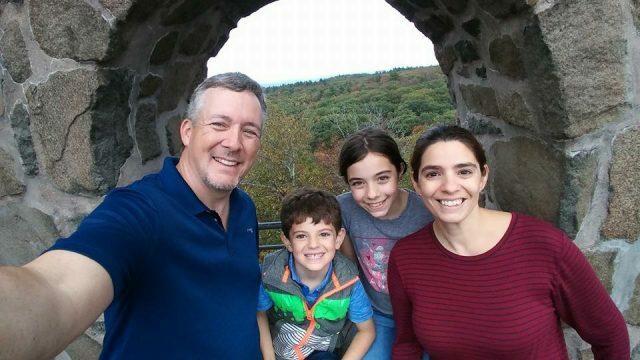 We are big fans of Vtech and LeapFrog products as our kids had several when they were younger. We wish the Go! Go! Smart Wheels had been around back then. The whole line is very cool. 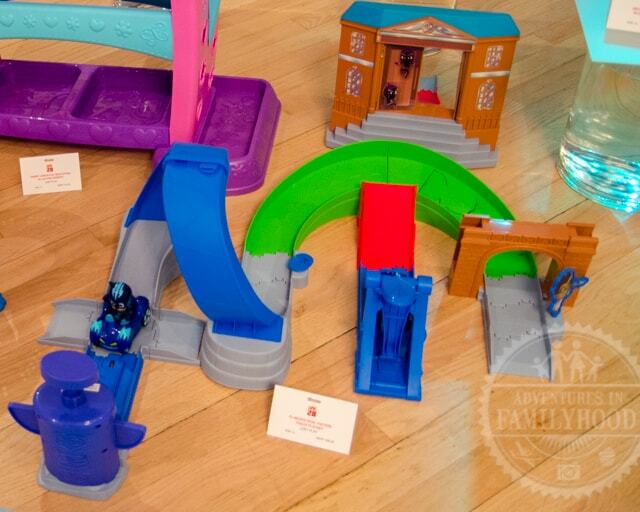 The track is fun by itself, but on top of that, the vehicles have phrases, music and sound effects that interact with smart points on the playset. Our kids are a bit too big for this, but we bought the Go! Go! Smart Wheels Space Station for our nephew for his birthday! 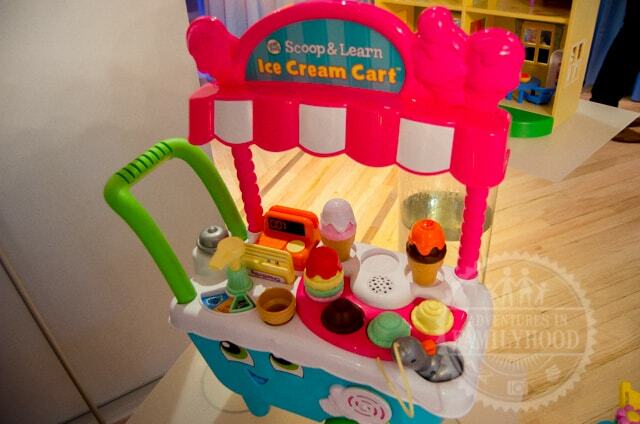 This toy ice cream cart delights and surprises with a range of buttons, lights, sound effects, music, and fun phrases. Everyone likes Ice Cream, right? Move over play kitchen, I think kids will scream for this fun, interactive ice cream cart! Bonus for building motor skills, memory, and learning! Preschoolers can nurture and care for their baby dolls right alongside Doc with the All-in-One Nursery. The role-play center is full of exciting doctor features and accessories to explore. 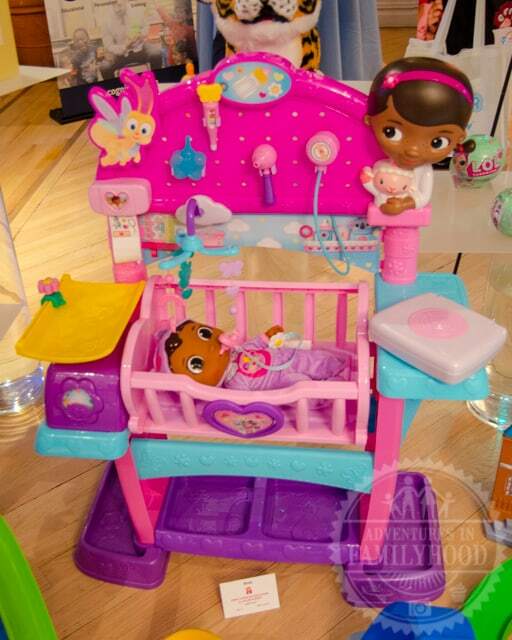 This is got to be high on the wish list of any Doc McStuffins fans out there. It’s loaded with tools and accessories to help any kid take care of their baby dolls. We recently saw it on sale at Target for about $63. 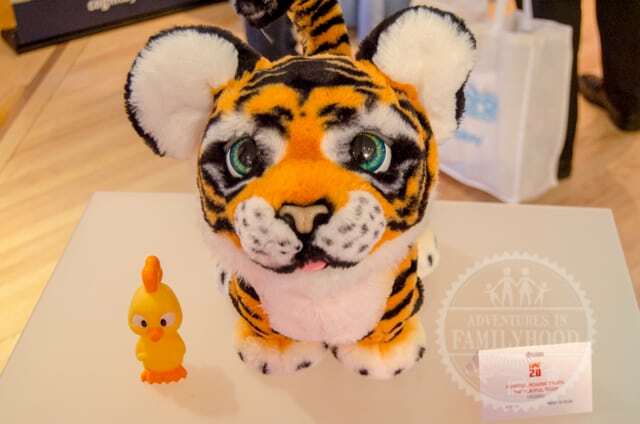 Kids can bring home this adorable baby tiger to love, play with, and care for as their own. L.O.L. Surprise Tots are collectibles that have seven layers of surprise hidden inside. I’m going to be honest. I don’t know much about these Surprise Tots! Small dolls and figures are big this year, and they definitely have a cute factor plus play-ability with the accessories they come with. Half of the fun is opening it and trying to guess which doll is inside. They could make a good stocking-stuffer, or you could buy a set of several as a gift. Prices range from about $6-7 for a single doll to $20 and more for sets of multiple dolls. Here are some listed at Target. You can also check out the selection on Amazon. This R/C vehicle is actually two cars in one that can magically transform at the simple press of a button. 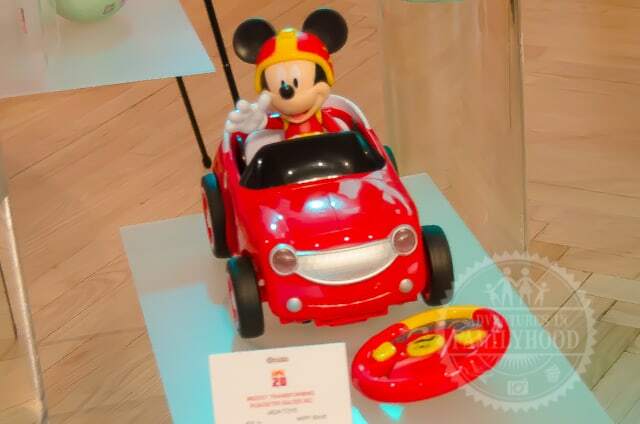 In addition, the vehicle has lights, sound effects, and even Mickey’s voice. This toy blew me away. Remote/Radio/IR controlled cars are nothing new, so that takes some doing. Jackson loves Mickey and the Roadster Racers, so it’s definitely got that going for it. But what really wowed me was the transformation from a regular car into the roadster racer! (you can see that in the video up top). Honestly, how it “drives” didn’t matter to me at all. I just wanted to sit there and watch it transform back and forth with a push of a button. For some reason it’s listed higher than $40 on both Amazon and Toys R Us, so stick with Walmart with a sale price of around $30. 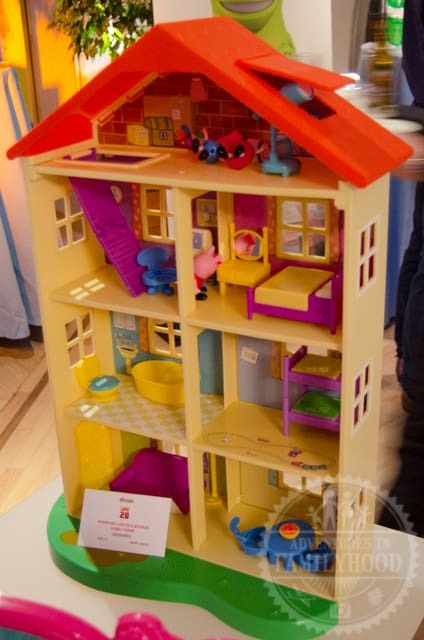 Kids can enter this lovely 22-inch tall, four-story home with seven rooms and be Peppa’s guest in a home filled with adventure and fun. We’re not Peppa Pig fans, but we can see how this would be desirable if we were. It comes with figures and accessories and seven different rooms to use them in. And it’s not overly big, which is a plus if you are concerned about where to put it. RWe saw it on sale for $50 in Target. It was listed at $45 on sale through Amazon, Toys R Us, and Walmart. Favorite nighttime heroes Catboy, Owlette, and Gekko kick the action into high gear with the new PJ Masks Rival Racers Track Playset. PJ Masks is another hot commodity this year. Santa brought Jackson the PJ Masks HQ last Christmas. This set is from the same people and looks cool. We had fun shooting Cat Boy through the loop and crashing through the doors in his cat mobile, though it takes a bit of force even for an adult to make it work. Sells for about $30 in most places, but Walmart rolled it back to $20. 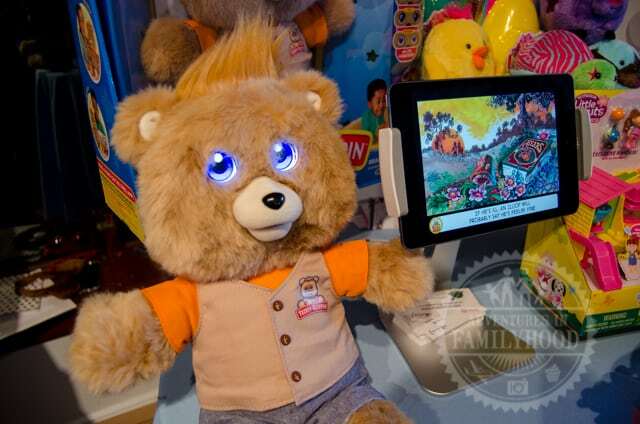 Teddy Ruxpin enjoys telling tales and singing songs with friends, making him the perfect companion for both little ones who love hearing stories, as well as older children just starting out on their reading journey. If you were a kid or had kids in the 80s, then you remember Teddy Ruxpin. Well, he’s back, and… if you thought he was cool then, he’s even cooler now. That said, if you thought he was creepy back then, he’s gotten even creepier now! There is a huge nostalgia factor here for us parents, but kids may find him a bit weird. I know Jackson does. I personally like seeing Teddy Ruxpin back on the shelves. As of right now, lowest price I’ve seen is Walmart at $84. The picture I took doesn’t do this set justice. It’s HUGE! It has 3 levels and can fit 100 engines in it! If your child loves trains, then this set is one of those big splash items for this holiday season. As you would expect for something of this size, it retails for $100. We’ve seen it as low as $79 on Amazon, Walmart, and Toys R Us. 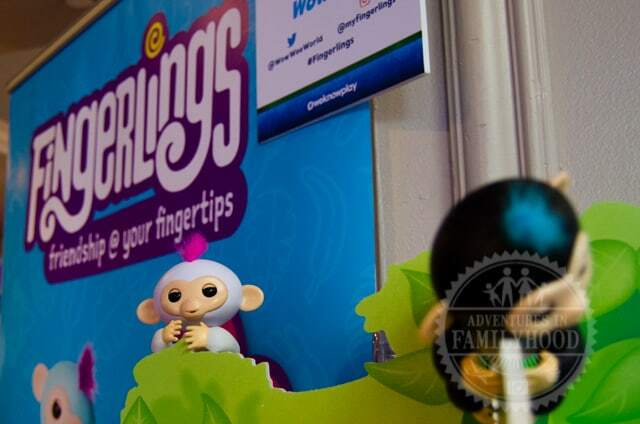 Fingerlings baby monkeys come to life with endless ways of play and realistic sounds to let kids know how they are feeling. Kids can wrap them on their finger to have a new friend at their fingertips. I’m calling it now, Fingerlings are this year’s Hatchimal. The fact that they are so affordable at $15 is going to make them fly off the shelves even faster. We are currently stalking Toys R Us in hopes of getting the exclusive unicorn GiGi Fingerling when they get a shipment, which looks like it won’t be until December. Nobody seems to have these in stock, and now there are stories of fakes being passed off online. Be wary of purchasing from third party sellers on Walmart’s site or Amazon. Follow us on twitter and if I ever see them pop up, we’ll tweet out the link. And by all means, let us know if you spot them first! These eggs are different from any seen before, and they hold a very special surprise. 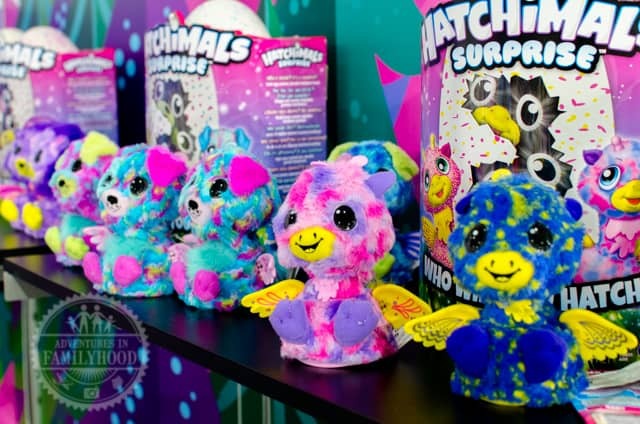 Speaking of Hatchimals, they are back this year with all new animals to hatch! I don’t think they’ll be as hard to get this time around, but they should still be popular. This time around, there are eggs with TWINS inside! Prices range from $60-$70, and you should be able to get them for less on sale. Here is the selection of Hatchimals at Target. And here are the Hatchimals at Toys R Us. 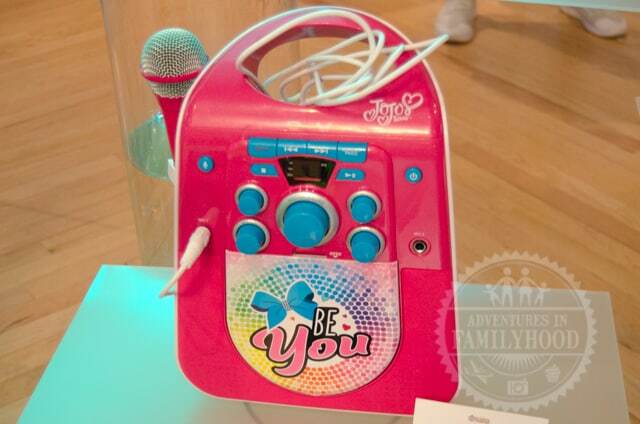 This karaoke machine is inspired by the teen and tween sensation JoJo Siwa! I don’t know who JoJo is, but she’s pretty big online, apparently. In fact, I’m having trouble finding this in stock online to provide a link to it at a decent price. It is supposedly exclusive to Walmart, but the only listing there is a third-party seller marking it up to over $100! For now, I have a link to the company that makes it, where it’s listed at $70. All the amazon listings are $100+! In my opinion, this looks like a pretty basic karaoke machine with modern features like Bluetooth capability to stream music to sing along to. It’s not on our list, but it could be right for your budding singing sensation, if you can find it. A good fallback would be this JoJo MP3 Microphone. 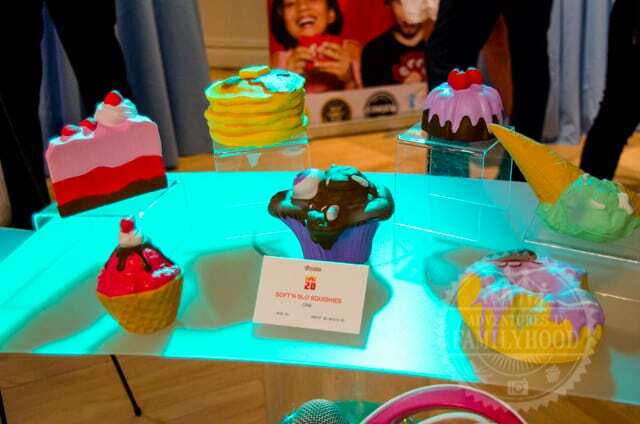 Oonies give kids a new way to create. Kids can take an Oonies pellet, place it in the inflator, and watch it magically grow into an Oonie! 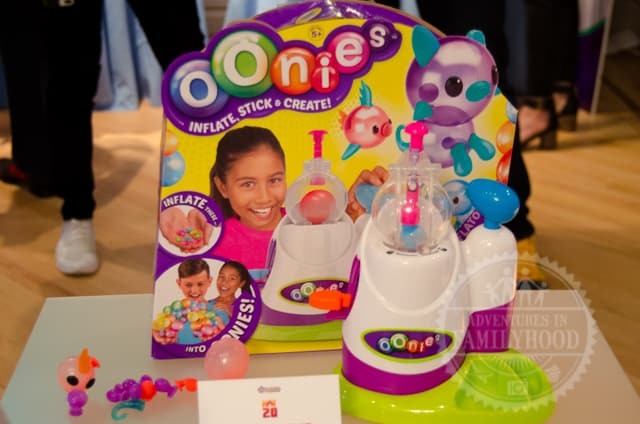 Oonies is one of the toys on this list we actually had a chance to try at home. The kids loved making the cute creatures out of these rubbery balloon-like balls that they inflate using the inflator. They quickly became experts on using the set, and had a lot of fun. The downside is that the starter kit only makes six different designs, and you have to use some of the same parts for each, which means you can’t have all six made at the same time. Still, it’s a unique way to have some creative fun! And the kit is labeled as “Season 1”, which hints at more designs to come! The basic starter pack is just $15 on Amazon. You might want to splurge for the Mega Starter Pack for $30 from Toys R Us. Shoppies and their Shopkins friends can now ride the elevator lift and discover three levels of fun at the Shopville Super Mall. Our kids love Shopkins! I find them everywhere. Thankfully, they aren’t as painful to step on as some other toys. 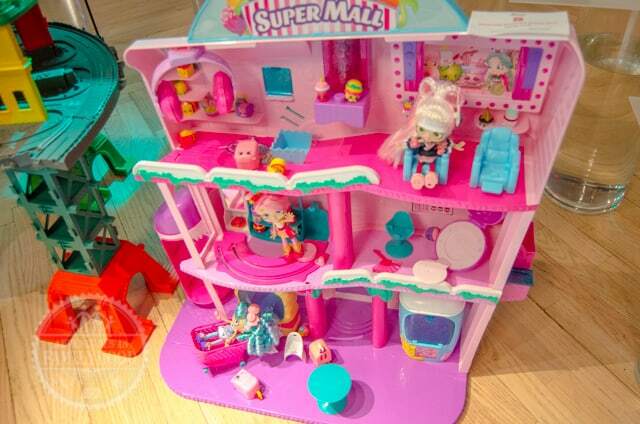 The Super Mall is geared for both Shopkins and Shoppie dolls, which makes it a hot toy for any Shopkins collector/fan. I know Jackson is always using his other large playsets as a home for his Shopkins, so having something like this would give him somewhere to play with and keep his Shopkins. It retails for $80 but you can grab it from Walmart for only $47!! Super squeezable and collectible, Soft’n Slo Squishies are based on the latest trend from Japan as a slow-rising and soft collectible. Squishies are all the rage in our kids’ school. Bella is a squishie connoisseur, of sorts. She has tried to explain to me on several occasions what makes a good squishie, and it how slowly it rises seems to be one of the main qualities you look for. Thus, these slow-rising squishies get high marks from her. She got a chance to squeeze some at Play Fair and was in heaven! I recommend checking Toys R Us for a good selection at a decent price ($5-12). 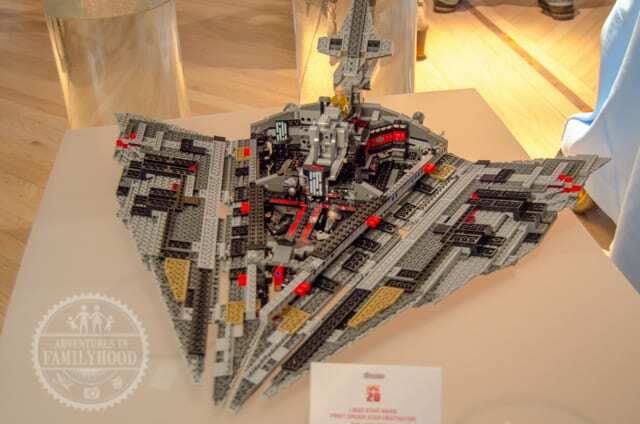 Kids can build the newest adventure in the Star Wars saga with First Order Star Destroyer and recreate scenes from the upcoming blockbuster, The Last Jedi. This is one of those toys I would want for myself. I just don’t know where I would put it! I love the larger LEGO sets because the detail and the time you spend putting it together gives you a greater sense of accomplishment. If you can play with it, too? That’s even better! (I’ve heard it has a handle to make it easier for “flying”.) Having just bought the Millenium Falcon for Jackson’s birthday, I don’t see us getting another large LEGO set this year, especially at a price tag of $160! And if we did… it might not be this particular one as there are a lot of great LEGO sets to choose from this year! 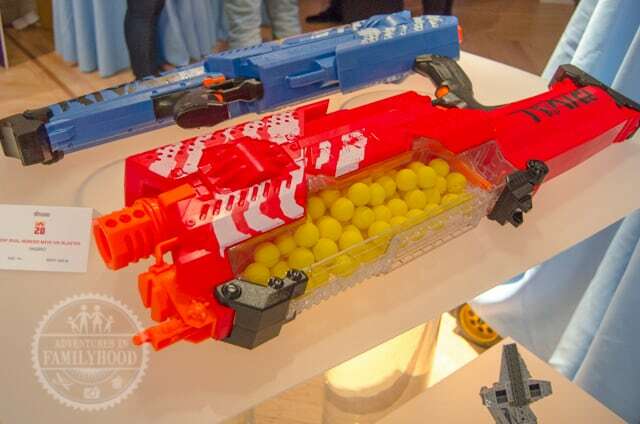 Kids can dominate blaster battles with the NERF RIVAL Nemesis MXVII-10K blaster. Nerf guns are very popular. At Play Fair, there was always a long line for the Nerf arena they set up for people to shoot at one another. The kids wanted to try, but we never got the chance. And I don’t think they are going to get the chance this Christmas either, when even on sale, this Nerf gun is going for $78 at Target. If our kids start having blaster battles, it’s going to be with something less expensive. The new home video game system from Nintendo, provides single and multiplayer thrills at home or on the go. 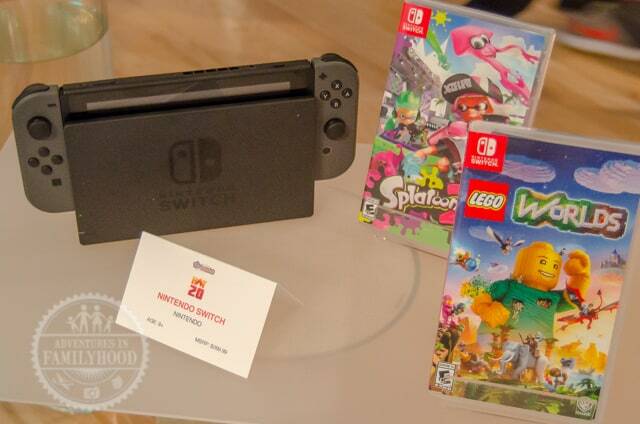 The Nintendo Switch was a popular item last year, and while we have no personal experience with it, we can see its appeal. The basic console is priced at $300, which makes it hard for us to consider since we recently bought an Xbox One that hardly gets used. 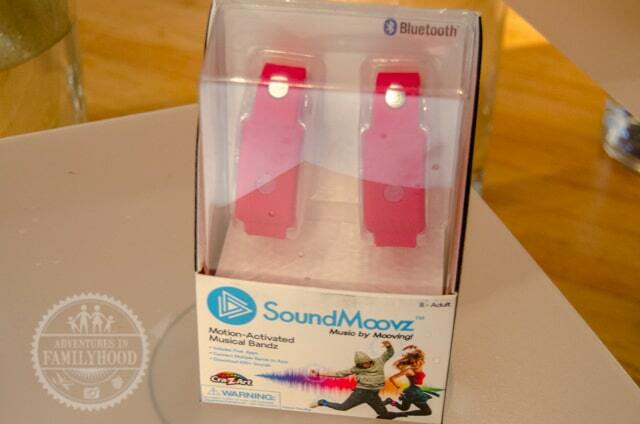 SoundMoovz is a motion-activated electronic device that plays cool music and special effect sounds as users move. This is an interesting one. Lisa saw them in action at Blogger Bash over the summer. It’s great because it gets kids (and adults) active and moving their bodies. In this age of sitting around on screens, that’s a much needed benefit. Best Buy seems to be the only place listing it higher than $50, but they should price match the other stores. That’s the Toy Insider “Hot 20” toys for 2017! I think 15 of those 20 would be hits in our home this year. How many “gotta have it” toys are on this list for your family?